Located in Houston, TX – Ocean Fab offers a complete range of metal fabrication services in the Offshore, Onshore, and Sub Sea markets – from high production plate and gauge laser cutting – to Skidded Assemblies for Equipment Manufacturers – to large Offshore and Sub Sea fabricated structures. As a value add we also offer machining, coating, sub-assembly, engineering (outsourced), design, construction, animated graphics, and complete packaging manufacturing services – delivered on our fleet of trucks – throughout Texas and the GOM. We understand manufacturing because we manufacture our own patented in-house products as well as offer sales and marketing representation for other fabricators – OEM manufacturing, full packaging, assembly, and sub-assembly. ASME Code U and R stamps – DNV and ABS certification – High Production CNC Laser Cutting – Metal Fabrication – Waterjet Cutting – Plate Rolling – Heavy Structural Fabrication – CNC Robotic Welding – CNC Press Brake – Subsea Fabrication – Heavy Machining – NACE Industrial Paint Coatings – Powder Coating and Land / Ocean logistics through our principal’s truck fleets and quayside facilities in the GOM. Our partners and principals offer a complete assortment of manufacturing capabilities throughout Texas. From the .004 tolerances and up to 1″ steel cutting offered by our industrial lasers and 3D tube lasers to our 20,000 pound capacity horizontal mill, large long bed Lathe and 20 ton (or more if needed) heavy lifting capabilities. With locations in Houston, TX – San Antonio, TX – and quayside facilities near the Gulf of Mexico – our heavy trucks roll throughout all areas of Texas, Louisiana and down to the Mexico border. Plus we can provide loadout, layout, and FAT testing for ocean going and Gulf of Mexico logistics. Ocean Fab represents three high quality metal fabrication companies, allowing us to complete any fabrication project – turnkey. 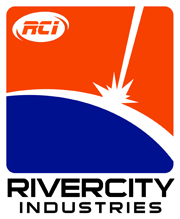 RiverCity Industries and our high production flat bed ( and tube ) lasers and CNC press brake focuses on 1/2″ plate and below, including stainless steels, Hastelloys, and Inconels in gauge thickness sizes up to 5′ x 10 ‘ sheets. Waterjet, plate rolling, metal forming, and welding. Specialties include enclosures, finished component parts, contract OEM assembly and packaging. SpoolTech is a certified DNV fabrication facility. Anyone that has gone through the rigorous process of getting DNV certified fabrication skids to market knows that this level of fabrication requires not only very stringent in-house procedures, approvals, and processes, it also requires experience and relationships with DNV surveyors. Spooltech not only fabricates to DNV certification, they also have in-house DNV design capabilities for those customers who need help designing their next DNV classing society- certified offshore lifting apparatus. Spooltech has a long history of manufacturing, fabricating (and designing) welded steel DNV skids – Manifolds – Pump Bases, Shipping Frames, Steel Enclosures – Spreader Bars – Welding Repairs, Overlays, & Inlays – Transport Cradles – and of course Welded Spools as from 18 inches in diameter to 23 feet, rated from 20,000 to 200,000 lbs for coiled tubing shipped spools, umbilical spools, spool pallets spreader bars and spool cradles . Spooltech also carries ASME code stamps: R – U and S stamps. These ASME stamps allow Spooltech to manufacture or repair Pressure Vessels – and they have a long history of pressure vessel fabrication. OceanFab focuses on larger structural steel frames and heavy fabrication including gas processing and production skids, and OEM sub-assemblies. Our welders are qualified to DNV and Hartford Steam Boiler weld procedures. ASME U Stamp and NBBI R Stamp stamps qualify us to build, modify or repair Boilers, Pressure Vessels + Pressure Relief devices. We are also NACE II certified in wet paint and powder coating. We are an approved vendor for larger skid frames for land or topside offshore installations with numerous oil and gas contractors. Specializing in inland sea, offshore, and subsea fabrication, including Engineering & Design support, Project Management, Fabrication, Code Welding, Construction, Installation. Our Quality Management Systems and weld procedures are witnessed by the most stringent offshore surveyors from the classing societies – Including ABS, DNV and Bureau Veritas. Services include Subsea Structures – Marine Services – Rig Services – Industrial – Electrical – Hydraulic – Pressure Piping – Mobilization – Quayside Logistics and Design and Engineering. No stranger to manufacturing, fresh out of college our founder Greg Bright launched a screen fabrication division in his family owned Ace Hardware stores in Houston, Texas. Within one year that division was contributing over $100,000 to the bottom line. Greg also spent ten years representing a paint coating manufacturer. Today, Greg manufacturers his patented laptop stands, iPad and iPhone stands – as well as represents other metal fabrication principals through this Ocean Fab agency. 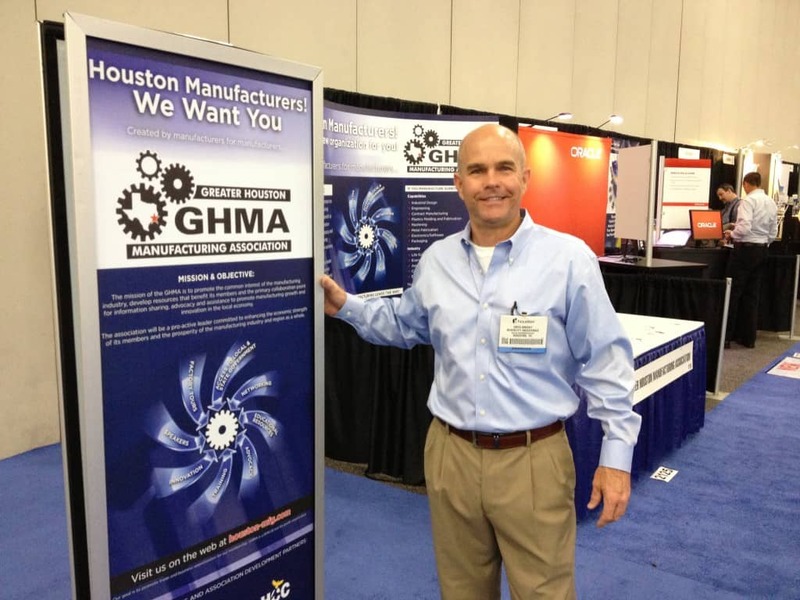 Greg Bright is a founding member of the Greater Houston Manufacturing Association & is the outgoing Marketing Director.